Long before our time, a common phrase to describe the waste of time was "watching the grass grow." Enter the digital camera, and that's a pretty worthwhile activity in 2016. Anyone with an eye on Philadelphia over the past decade has seen the gradual emergence of a full-fledged 21st-century city. Take a look at Philly in 1966 and you'll be hard-pressed not to do a double-take at the staggering transformation of the skyline. 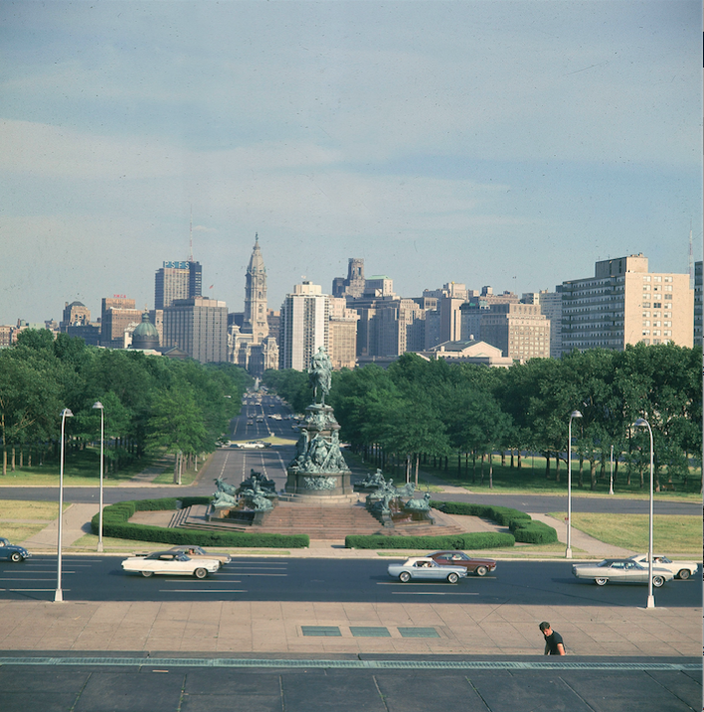 The skyline of Philadelphia is seen from the steps of the Philadelphia Museum of Art in this view looking up the Benjamin Franklin Parkway on June 22, 1966. Give it another 20 years — even five or 10, for that matter — and the iconic markers of the teens will again seem like old hat. Apart from the obvious rise of the Comcast Innovation and Technology Center and the FMC Tower in University City, Philly is on the brink of another metamorphosis. There are 32 high-rise projects currently under construction in Center City, including more than 15 major hotels intended to absorb a boom in local tourism. The luxurious 500 Walnut notched the most expensive residential real-estate sale in the city's history, and now two towers are planned for the technology hub along East Market Street. That's all in the near term. Down the line, West Philadelphia is primed to become a contiguous extension of Center City as Drexel University and Brandywine Realty Trust flesh out plans for Schuylkill Yards, the $3.5 billion development that will underpin the long-range 30th Street Station District. Penn is adding a new health care technology complex, the Children's Hospital of Philadelphia is wrapping up a 23-story office tower along the Schuylkill River, and a preservation battle is in full swing over a proposed 16-story tower on Jewelers Row. If you blink, you won't exactly miss it, but it'll all move too slowly for the speed of life to appreciate these days. 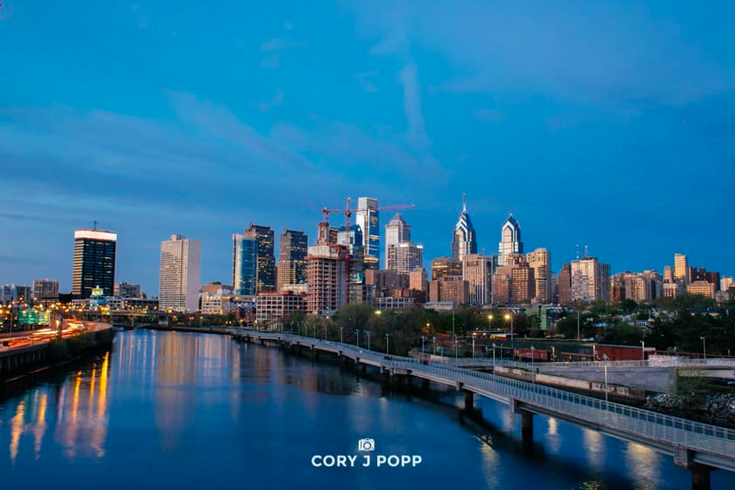 That's why our city is lucky to have people like Cory Popp, the Philadelphia-based videographer who has spent the last few years filming practically every corner of the local universe for public pride and inspiration. Popp just published his most ambitious project to date. "Philadelphia in Motion" compiles the best of his footage and a slew of new clips into a round-the-calendar time-lapse of the city's latest growth spurt. Watch the video below and hear what Popp had to tell us in a revealing Q&A. 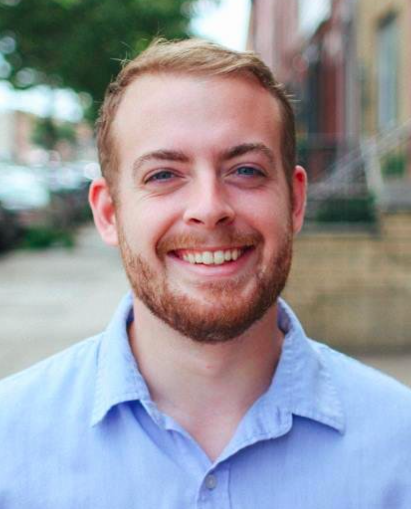 PhillyVoice: You’ve arguably been the city’s most visible videographer over the past year and a half, producing more than 20 shorts that capture almost every glowing facet of Philadelphia. Was this project meant to highlight the sum of all those parts? What have you learned from all of this? 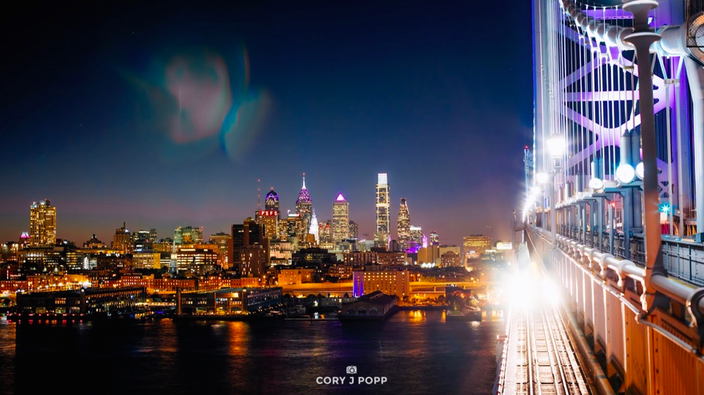 Cory Popp: This project does highlight a lot of what I’ve captured so far. A lot of these shots were recorded over the last 12 months, so they were used in other videos. In almost every video I’ve done, I’ll use shots like the ones in this video to establish a neighborhood or a certain location. Skyline time-lapses are by far my favorite thing to film, but a very tricky thing to get right. I love skyline shots, particularly because of how universally they define the city, and I especially love the subtle movements that come out when you speed everything up. I’ve learned that I really need to understand my audience. In this case, the audience is people who love Philly — either they live here or used to spend a lot of time here. Everyone who’s watched the videos has pride for the city, and they love to see it shown in a really beautiful way. I’ve learned a ton about publishing for an audience because of the feedback I’ve received from viewers who tend to look for a common theme in my videos. PV: People always rave about time-lapse videos, even when they show a decomposing animal or something. Is this a hard style to perfect and edit because of the number of stills involved and environmental factors? Was this video particularly difficult? CP: There is so much room for error during a time-lapse, and even the simplest time-lapses can go horribly wrong. Basically, the hardest part of a time-lapse is keeping all the factors the same. Changes in exposure or any camera movements can make the footage difficult to watch. There’s something really great about a really smooth, seamless time-lapse. PV: Philly is undoubtedly in the midst of another downtown boom. We’re seeing hotels fly up at an astonishing rate, we’re hosting major events (Pope Francis, the Democratic National Convention, two upcoming NFL drafts), and huge skyscrapers are reshaping the skyline as we know it. As optically gorgeous as all of this is, do you ever feel there’s a double-edged sword to Philly’s ascendance and growth? CP: Economic growth can absolutely displace families, which is tragic, and I feel there should be protective measures in place to ensure that doesn’t happen. That said, cities are constantly changing, and that growth can be an incredibly positive thing for the people who live there. A view of Philadelphia from Camden. PV: Are there any other projects you’re working on (if you can share them), and what can we look forward to from you in the future? Any dream projects you’d love to be able to do in Philly? How about around the world? CP: I’m taking it to the next level on the next video with something called hyperlapse, which is a REALLY cool way to combine time and movement that gives a really unique result. I’m really interested in unique perspectives of the city, so I would love to shoot a video entirely from a helicopter. Paris, Hong Kong and Tokyo would probably be my top cities to film in. Check out all of Cory's work at his website. You can also purchase framed prints from his videos here.